A unique formulation of penicillin has proved valuable for the treatment of horses that carry strangles, it has been reported. Veterinarian Mark Bowen describes the use of the custom treatment in a case report to be published by Veterinary Evidence, the new open access journal run by RCVS Knowledge, a trust under the umbrella of the Royal College of Veterinary Surgeons. 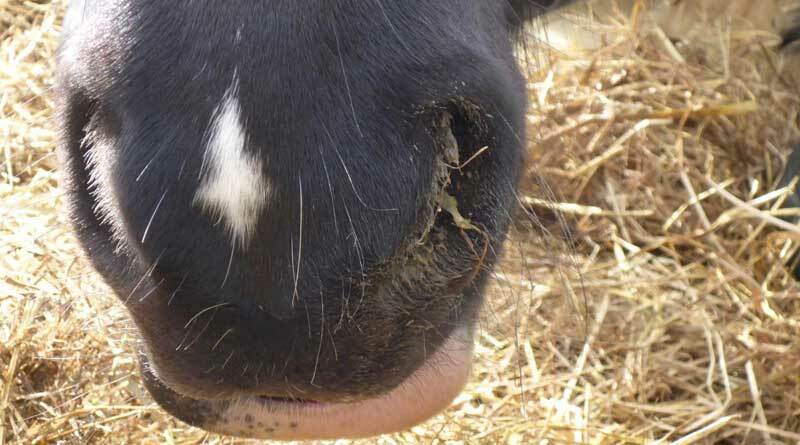 Bowen, from Oakham Veterinary Hospital in Leicestershire, England, reports on the use of a unique formulation of penicillin in a gel formulation that can be instilled quickly and easily into the guttural pouch of horses that are strangles carriers. Strangles is a common condition with high morbidity. Management of outbreaks is complicated by the development of asymptomatic carriers, with the causative organism, Streptococcus equi var. equi, being retained within the guttural pouch. Treatment of carriers relies on removing physical infection and administering antimicrobials directly into the guttural pouch using a slow-setting penicillin and gelatin solution. This has proved to be an awkward and lengthy process, usually only successful in a hospital environment. Reverse thermodynamic agents, that are liquid when cool and solidify as they warm, have been used to treat otitis externa − an inflammatory condition of the external auditory canal − in dogs and provided the inspiration for the novel treatment for strangles carriers. Veterinary specials manufacturer BOVA UK formulated benzyl penicillin in poloxamer gel and it was quickly and efficiently administered to a confirmed strangles carrier via a specially adapted uterine catheter. “This exiting report confirms the value of locally infused antibiotics in the management of strangles carriers,” Bowen says. “The reverse thermodynamic poloxamer gel proved to be a practical method to retain antibiotics within the pouch without the need for complex mixing or prolonged raising of the horse’s head. George, J. L., et al. “Identification of carriers of Streptococcus equi in a naturally infected herd.” Journal of the American Veterinary Medical Association 183.1 (1983): 80-84.